We buy boats in Florida too! Well, boats are a Powersports, right? We’re in Florida so we’ve gotta love our boats. There are probably more varieties of boats in Florida than anywhere in the U.S. So… We are in the boat buying business! We buy all kinds of boats! Walk around boats, fishing boats, center counsel boats, speed boats and more. If you have a boat you want to seel, we want to take a look. We have free pickup and will buy it for quick cash on the spot! Spring is the best time to sell your boat in Florida because the boat buyers are looking! Many first-time boat buyers are looking for a gently used boat to test the waters before going out and spending the big bucks on a brand new boat. Instead of wasting your precious time meeting with potential buyers who may just be looking for a free boat trip, let us do our job! Forget about paying to have your boat listed in the local classifieds, or having to explain the features of your boat over and over again, call after call. We will pay your top dollar for your used boat. Looking for a buyer? You have one….US! As you know there are a few factors in determining the price we can pay for your boat. The age, engine hours, condition are all considered. Promoting Boat buying on Sellmymotorcycleonline.com may be new, but we actually have quite a bit of experience. For several years now our boat buyers have worked through Sellusyourboat.net buying bass boats, ski boats and even cabin cruisers all over Florida. 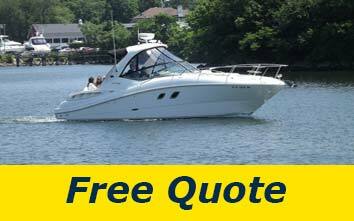 Let our experienced buyers give you an estimate on what your boat is worth. This entry was posted in Boats and tagged boat buyers in Florida, free quote for your boat, We buy boats in Florida. Bookmark the permalink.